His mind knows no limits, escaping to the outer reaches of the universe in search of tranquility, and finding explosions of renewed personal energy on the way. He is the consummate romanticist, hearing musical instruments and enchanting strains even in the most violent windstorms or disturbances at sea. 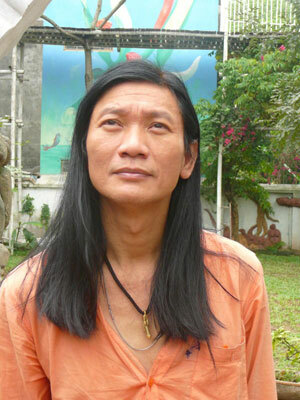 Dao Anh Khanh is an avowed environmentalist, sculptor, performing artist, musician and painter. 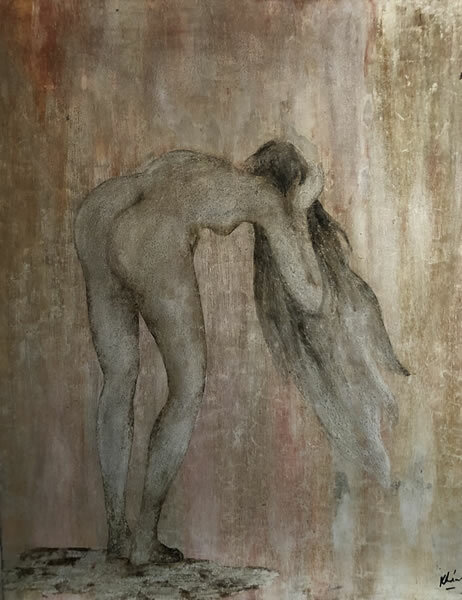 His paintings are in lacquer on canvas as well as lacquer on wood. Visit the BBC NEWS Website to see video of Dao Anh Khanh.